We decided to get started on Vanfoodster's Sundae Challenge making the trip to Maple Ridge to visit Cremino Gelato and Cafe. Arriving shortly after noon on this holiday Monday, we thought we might have the place to ourselves but shortly after ordering and sitting down, Cremino exploded into business. I can't tell you that I'm surprised. Cremino has only been open about a year but they have a handle on this gelato making thing and have some amazing flavours. I rarely get to Maple Ridge but I imagine that they are quickly becoming legendary among locals. 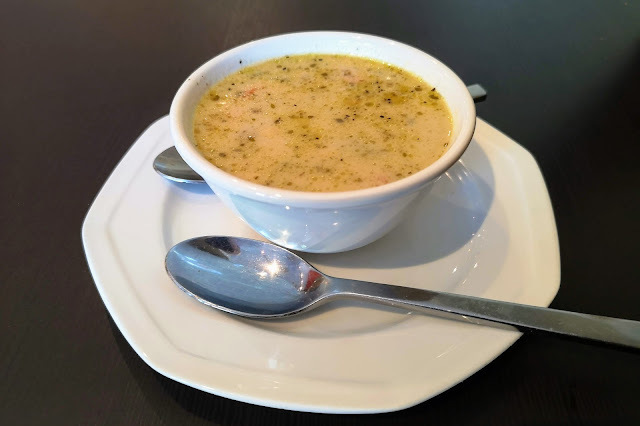 We started savoury with a bowl of very good corn chowder (the soup of the day). With lots of corn and potato and a lovely hint of oregano. This hit the spot, even though it was a hot day. 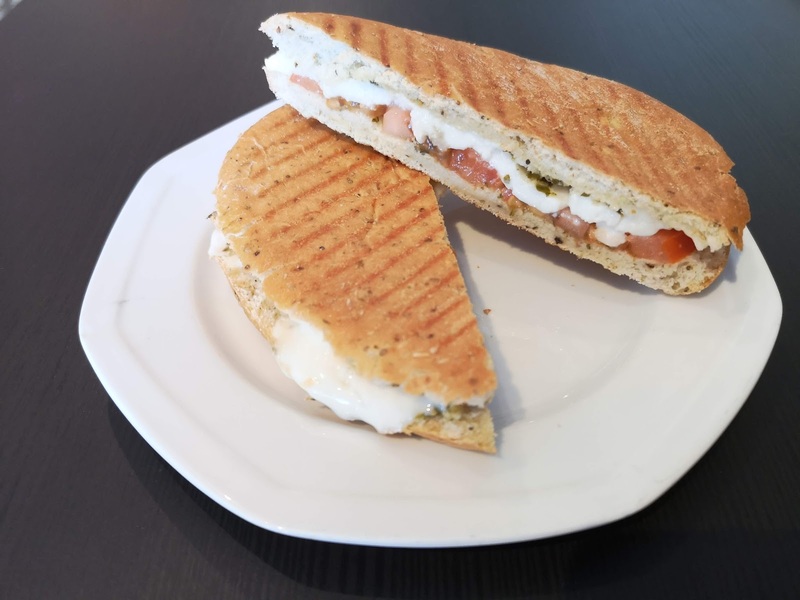 Followed by a Caprese Panini, with melty fresh mozzarella and very good black pepper oregano bread, and pesto, this sandwich was also worth the price of admission. Still, the Vanfoodster's Sundae Challenge entry was the the main event! 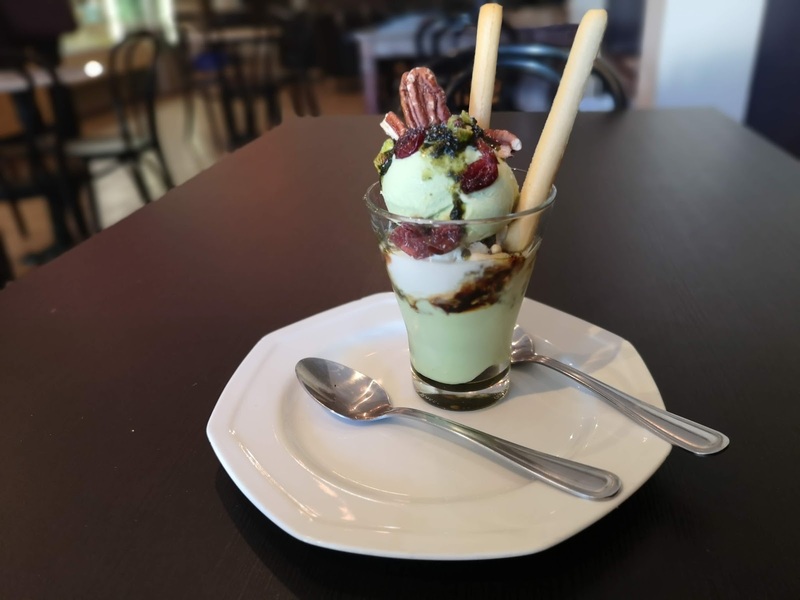 The Insalata Sundae, with avacado sorbetto, pecans, balsamic reduction, pistachio pesto, lemon zest and dried cranberries, was certainly beautiful and complex for a desert. I found the individual components of this masterpiece to each be wonderful. I understand the concept of salty and sweet together being very good but in this case, I found the pesto to be a bit overpowering of the sorbetto. 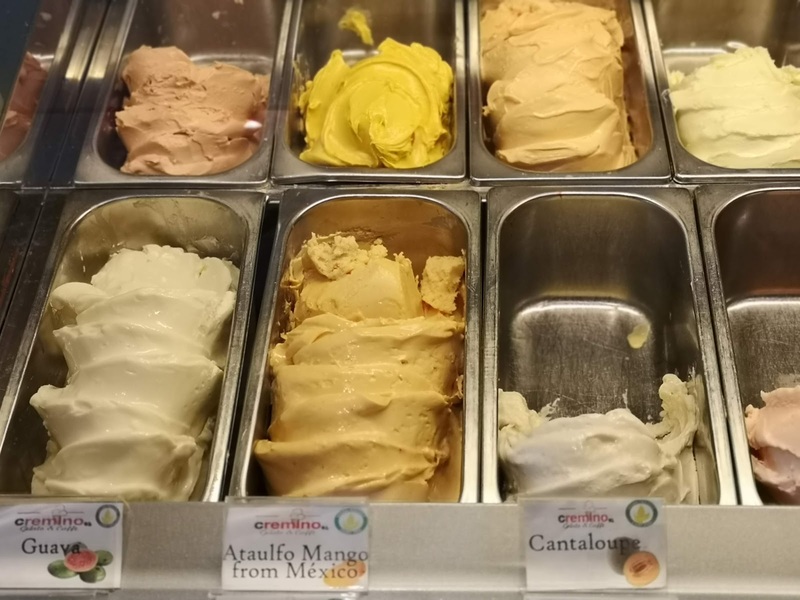 We were so impressed by the variety of Gelato flavours that we dove in again! Marie had a waffle cone with a scoop of mango and a scoop of stracciatella and it was excellent! Cremino is a family run business that has been open for about a year. These friendly folks have an Italian / Portuguese heritage and are drawing on that background for this lovely little cafe. 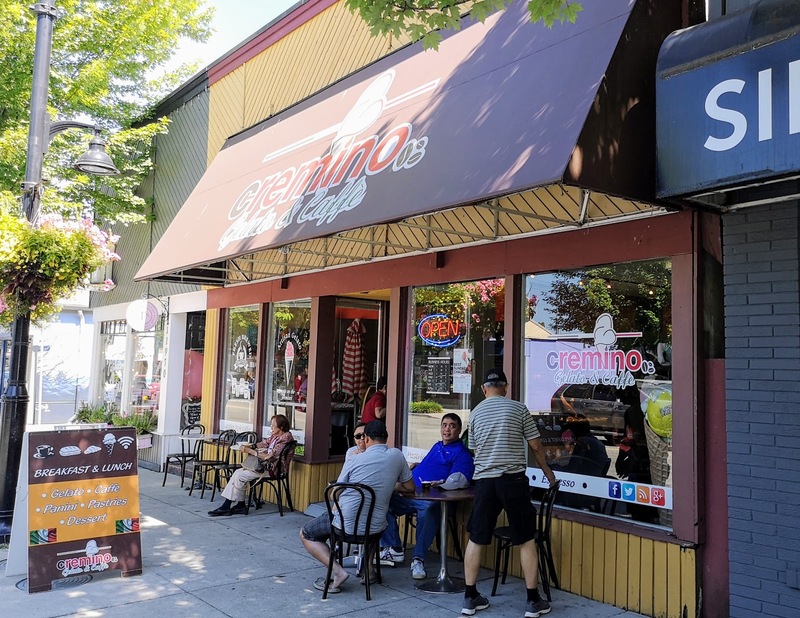 Even if you are not from Maple Ridge, Cremino Gelato and Cafe is worth a visit!